Shares of CJ Hello, Korea’s largest cable TV operator, flew high on Friday on growing prospects of the company going under the LG family and becoming a strong player in the media landscape where mobile video platforms increasingly replace the traditional channels in home entertainment. 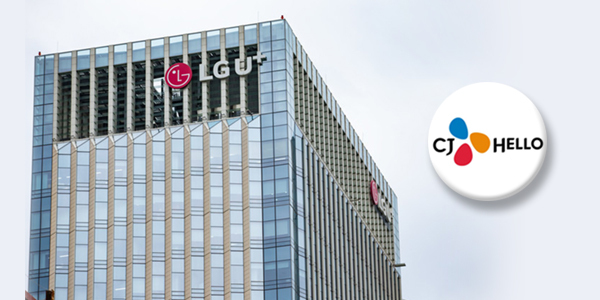 LG Uplus, which has vowed to complete the acquisition of CJ Hello in the first half, plans to convene a board meeting next week to finalize a near 1 trillion won ($890 million) deal to take over 53.92 percent stake in CJ Hello from CJ ENM. CJ Hello shares ended Friday 15.12 percent higher at 11,800 won after gaining more than 20 percent earlier in the day. CJ Hello is Korea’s No. 1 cable TV operator with more than 4 million subscribers. It is also responsible for 13.02 percent of the country’s paid TV market as of September 30, 2018 while LG Uplus controls 11.41 percent. Their merger will pose as formidable competition to the industry leader KT. Its sale to SK Telecom Co. fell through in 2016 after the antitrust agency disapproved the merger agreed in the previous year on the grounds that the acquisition and follow-up merger with SK Broadband could undermine fair competition. LG Uplus, a distant third player in the wireless market, has emerged strong lately through its heavy investment in the mobile media platform. It joined up with Netflix in November at a time when Korean viewership of the U.S. content provider has been on explosive rise. The deal is expected to trigger a wave of M&As in the media industry to stay competitive in the transitional period. D’Live Co., the third largest cable TV service provider, is also on the sale block.